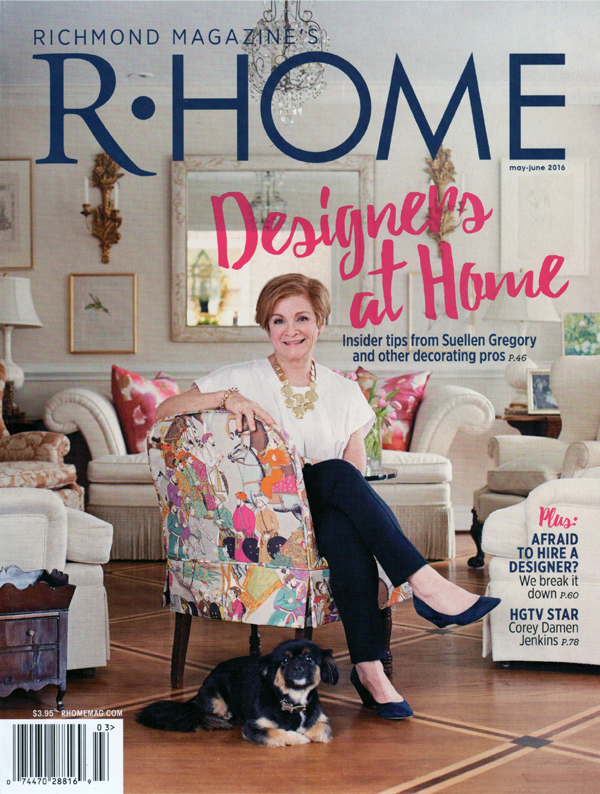 How thrilling to be featured in RHome Magazine! We love this fabulous resource that is right here in Richmond. I think this issue is great – and not only because I’m on the cover! There is lots of information about Interior Design and Decorating – informative and fascinating……plus the lovely homes of other talented designers! This entry was posted in Blog on May 17, 2016 by Jen.